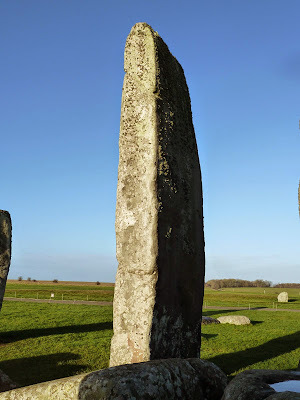 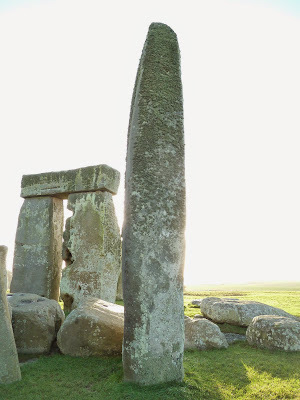 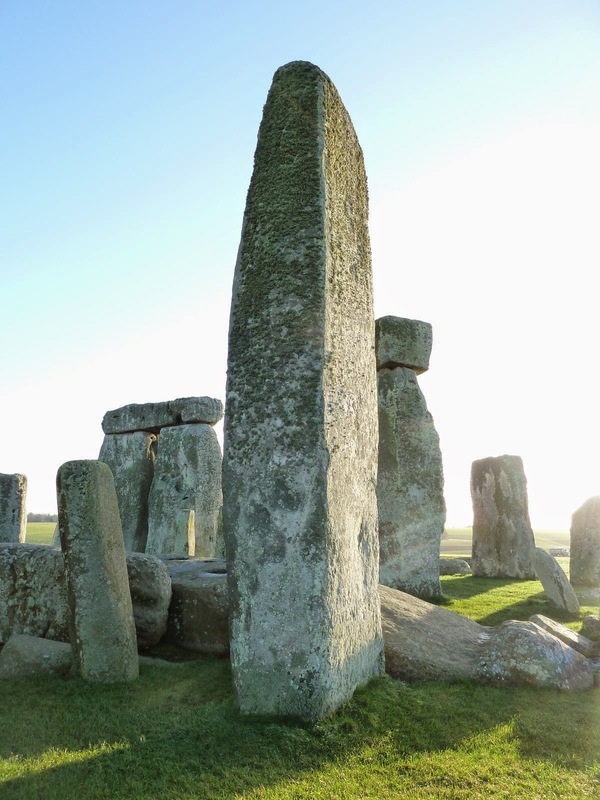 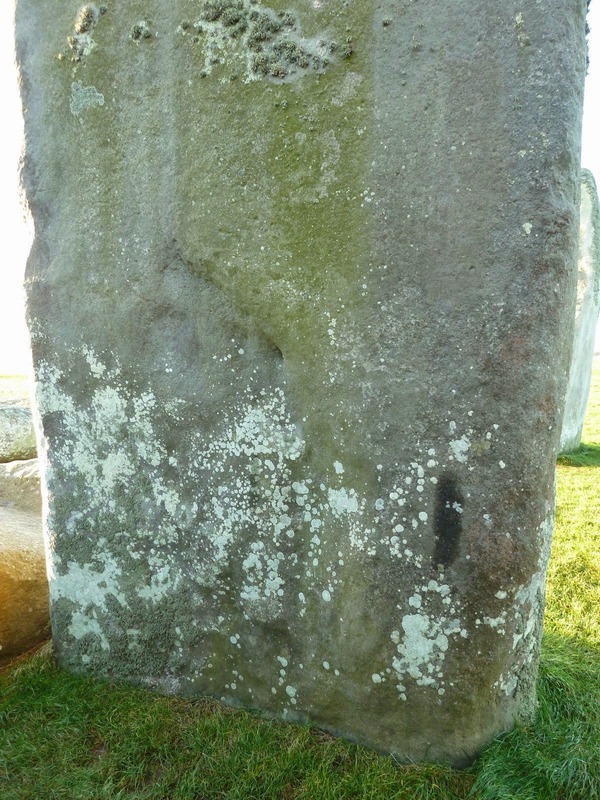 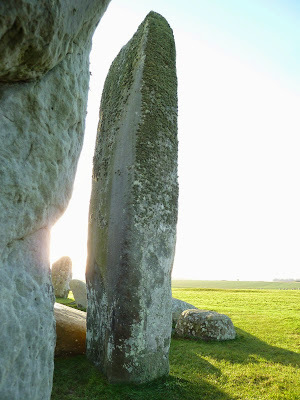 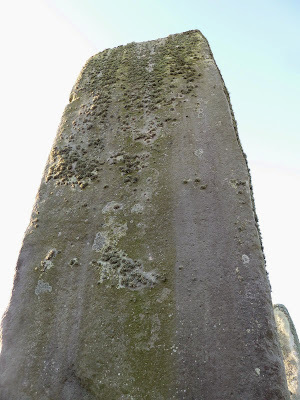 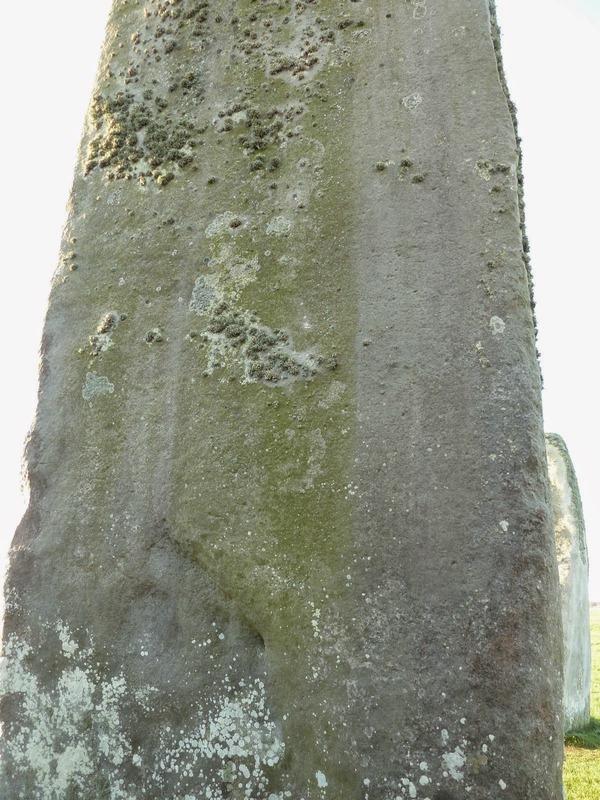 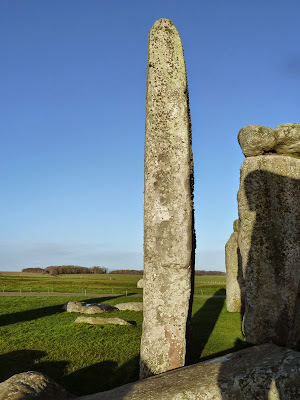 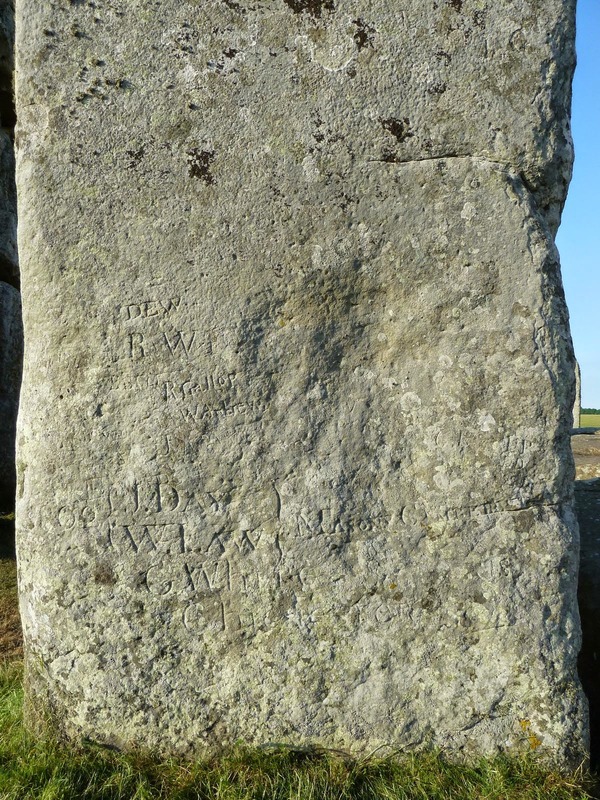 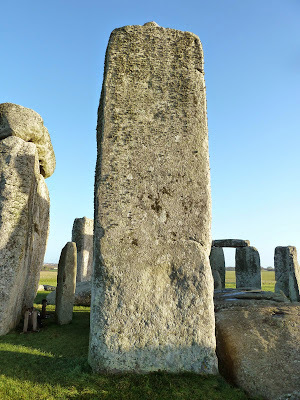 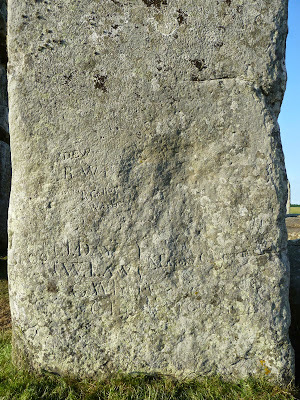 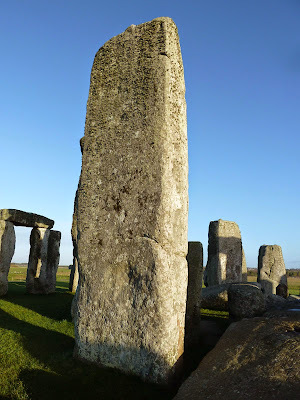 This is the tallest standing stone at Stonehenge. So tall, in fact, that it's hard to get a clear single photo of the NE face so here are three separate photos. 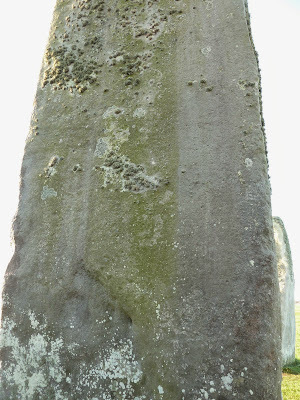 The light and dark pattern on the NW lower face that some people see as an alien "Grey".